Individuals devoted to organic search engine optimization (SEO) and those to paid search have butted heads for years. Each espouse a purist view on the acquisition of traffic that’s incompatible with the other. Does it need to be this way? The SEO community argues that the power of the Internet comes from its ability to even the playing field for all involved. This philosophy to let the best content win allows small companies, even individuals, to have a voice equal to that of the largest firms. This democratized utopia has been tainted by the growing influence of paid advertising that directs naive consumers not to the best results, but to the sites able to pay the most. The pay per click (PPC) community, in contrast, is a pragmatic and sometimes cynical bunch. To them, the Internet is a tool that helps the businesses they represent accomplish their goals. 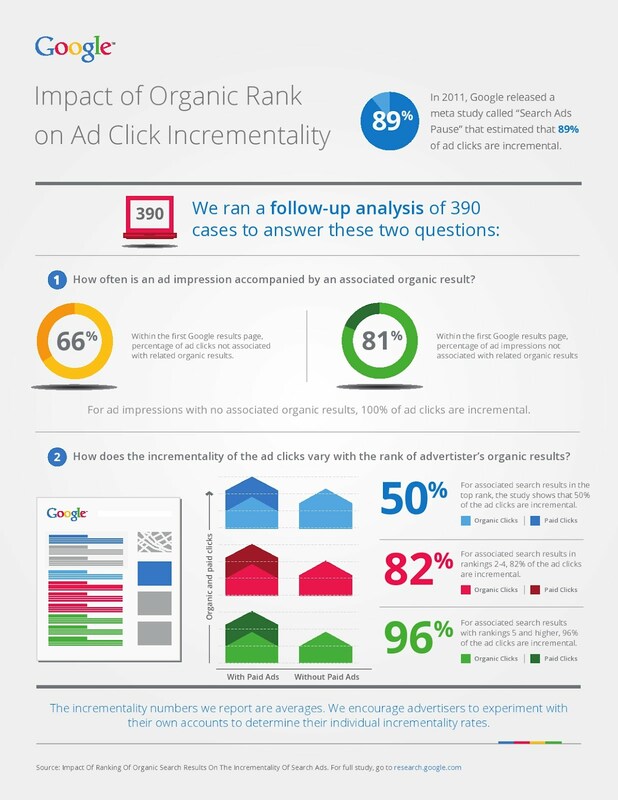 PPC advertising provides a predictable result that organizations need to be accountable to their targets. SEOs argue the vast majority of search users never click on paid ads, and as the market continues to grow, costs rise while effectiveness wanes. Traffic acquisition through a PPC path becomes an increasingly expensive proposition. PPCs counter that SEO also requires significant investment but is an uncertain bet at best. Sure PPC can be expensive, but you never come up empty handed. The truth is that both SEO and PPC are becoming more challenging. Google has taken bold steps this year to minimize SEOs ability to manipulate organic search results. Paid search ads are becoming more expensive, while click through rates aren’t what they used to be. At the same time, there are new opportunities in both of these areas. SEO is beginning to benefit from the use of structured data and author/publisher attribution, and there have never been as many PPC options available as there are today. The reality is that both techniques have a role in a well-conceived digital marketing strategy. SEO is, admittedly, the long term play and it can take months to show traffic benefits from an investment in improved content. The flip side is that these benefits can last for years and build on one another as additional investment is made. PPC also has an important role to play. For quick hit benefit, or for highly competitive topics, PPC gives organizations their opportunity to swing for the fences. We’re also now seeing evidence that paid advertising and organic search placement work together to improve click-through activity. Perhaps most importantly, no amount of prediction tells us as much as what we learn when we put tools to work in the real world. Smart organizations use a combination of these strategies and then double down on the elements that are working most effectively. To learn more about the changing world of paid search marketing, join us for this month’s webinar event “New Strategies for Using Paid Search Effectively” on November, 21. If you want to know more about how Google is changing the rules of SEO, we’ve got you covered there too. Check out our recent “Keeping Up with Google” webinar on-demand. This entry was posted in Industry Trends, Marketing, Search/SEO/PPC by Ben Dillon. Bookmark the permalink.